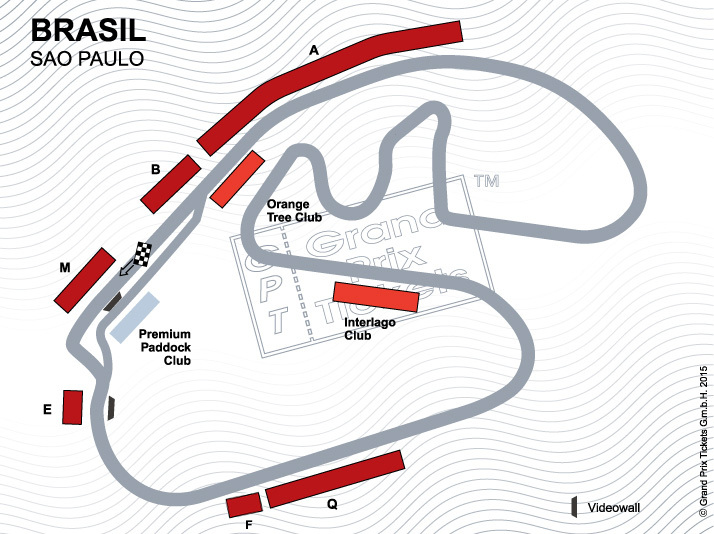 The Autódromo José Carlos Pacein Brazil - also known as Circuit of Interlagos (meaning “between the lakes”) is located approximately 12 km outside from São Paulo city in the Parelheiros district. The track layout allows fast lap times. A crucial spot to accomplish a fast lap is the last turn. It leads uphill so every mistake is punished even more. The tropical climate causes rain at nearly each race weekend, which adds to the excitement. The Autódromo José Carlos Pace is a fantastic track with a great atmosphere.